1 Tip for Maximum Website Profits – Superb Internet Blog - Delivering 360° Hosting Experiences – and blogging about it! Do you know how often your website is down? Website downtime can be a real killer to your bottom line. The more you are offline the MORE MONEY you lose. The truth is, many businesses NEVER KNOW when their website goes offline. Is your website consistently up and running or is down and you are not even aware? There are many issues that can cause your website to go offline. Your server or web host could be conducting routine maintenance on the website, there could be an issue with your website’s code, there could also be an issue with your data center. Alternatively, there could be network, hardware or hacker issues. Whatever the reason, you need to get your website back online ASAP. In 2013, Amazon reportedly lost close to $66,240 for EVERY MINUTE they were down. In March 2017, Amazon Web Services went down and caused a domino effect where Quora, Coursera, Business Insider, Slack and Trello all went offline. Interestingly, DownDetector, a website used to detect such outages also went offline as a result of Amazon Web Services difficulties. You should be asking yourself, how much are you losing for every minute you are offline? If Amazon can go offline, it is safe to say that your website can go offline too? Downtime is inevitable – but you can minimize the financial damage incurred. The first step is to enable Proactive Monitoring. Proactive means that when an alert goes off, a qualified technician responds to the issue… and resolves it. Monitoring by itself isn’t good enough. Later in this article I’ll show you how to setup Proactive Monitoring affordably and with qualified technicians. When first time visitors try to access your website and find it unavailable, you are guaranteeing they will not return. Worse, if that is paid traffic your ROI numbers will be inaccurate and you also spent money for nothing. The next time they see your ad they are less likely to click on them… giving you a bad image. Beyond that, research shows that, 88% of people are influenced by the reviews they get of companies online. If your company is constantly experiencing unresolved inaccessibility, then visitors to your site will spread the word and if your website is an e-commerce, people won’t shop there anymore. If it’s a blog, people will not go there for information and it will be an unreliable source of information. Whatever the reason, you do not want a negative image of your site and brand. An example of this when Virgin Blue’s website went offline in 2010. The downtime affected the travel schedules of their customers. This went on for a week and the reputation of the company suffered greatly as a result. If customers are not able to access their online account for support, shopping, or information, they will feel frustrated. Multiple or frequent outages will cause this frustration to grow. Ultimately, causing the customer to make a decision to continue business with you. I recommend monitoring your support, shopping cart, and blog in addition to your main site. It is important to keep customers happy in the current competitive market as there are many competitors most likely in your market. Earlier, I told you that when Amazon went down in August of 2013, it reportedly lost $66,240 every minute. It experienced a drop in web traffic of 40%. For Navitaire, the company that managed Virgin Blue’s reservations at the time, this cost was close to $20 million dollars. This was paid as compensation for the canceled flights. One such factor is how fast your website responds to Google. According to research, when websites respond slowly, users will spend less time on it. The good thing is that Proactive Monitoring can be set to determine if your website is delivering slowly. If your website has too much downtime or performs slowly, Google will penalize you. Guaranteed response from a qualified technician. #2 in my book is the most important. What good is an alert notification if you are asleep? What if you are on a trip to a Mexican beach and left your phone in your room? You don’t need to worry about that if you have paired monitoring with a response team. I’ll reveal how you can get Proactive Monitoring more affordably than you can image in a moment… but first, let’s look at what you should be monitoring in the first place. There is more to monitoring than just opening your website in a browser to check your website. We are all guilty of it, but it doesn’t reveal everything under the hood. The ‘browser’ method is for rookies. If you are serious, you need a more sophisticated approach. Sophisticated DOES NOT mean complicated. Databases, slowness, and backend systems that are mission critical don’t always pop up when you use the browser method. In fact, a lot of issue won’t appear until someone tries to opt-in to a newsletter or begin the purchase process. PING measures how long it takes for a message to go from the host to an individual computer. This is like submarine sonar using echo technology. This program gives a summary of the time it takes to receive the response. DNS resolves your domain name to your IP address. If DNS is down, your website will not display properly. FTP is used to transfer files between a computer and a server. If your customers use FTP to upload logo’s for your online t-shirt business this is critical to monitor. Perfect for Proactive Monitoring. Further, this is perfect for Proactive Monitoring because you will not be able to communicate if your mail is down. HTTP, is your main web service… this is the ‘browser’ method of checking for uptime. SMTP is a system that is used to send and receive emails. You will for sure know if this is down quickly from your customers. HTTP (SSL) is secure version of SSL that sends data between the website you have visited and your browser. This is becoming more common and is recommended all websites use this. SSH, or secure shell allows Internet users to send information and operating network services securely over an unsecure network. This would inhibit your ability to access and work on your server. Perfect for Proactive Monitoring. IMAP, Internet Message Access Protocol is a program that stores emails on a server. However, users can change the email as if they were on their own computer. Perfect for Proactive Monitoring. TCP or the Transmission Control Protocol, is an internet protocol used by the world wide web, file transfer and email. Perfect for Proactive Monitoring. MS SQL 2000 is a management system for databases that stores and receives data. Perfect for Proactive Monitoring. …and honestly, you can choose an almost infinite level of monitors such as how long it takes for your website to respond. 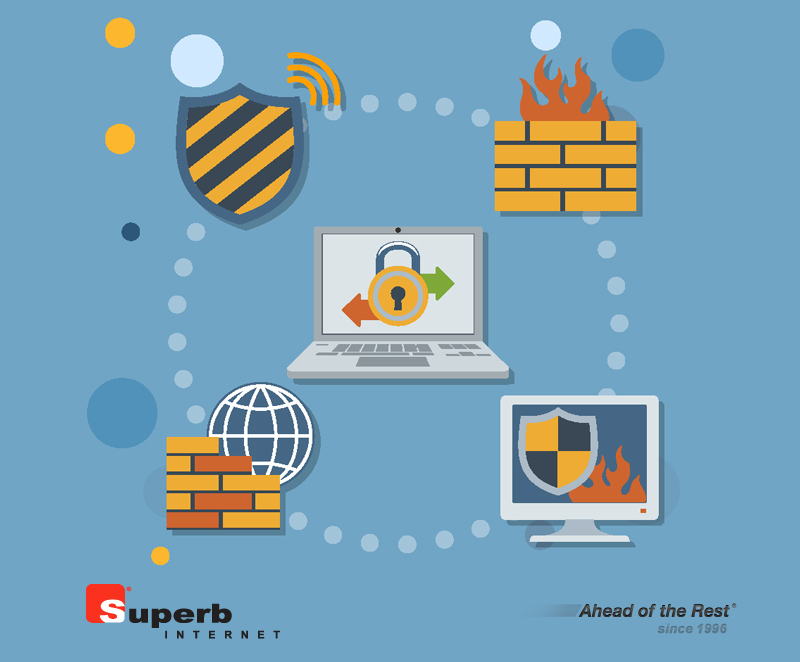 Proactive Monitoring from Superb Internet delivers the best of both worlds. Superb Internet is a company that is truly ahead of the rest when it comes to web hosting and monitoring. Unlike Amazon Web Services, Superb Internet has qualified technicians that will respond to alerts in five minutes or less. If you are serious about your online business, then you need to get a serious monitoring solution. An online business that has downtime is much like a brick and mortar business that has its doors locked. You can add Proactive Monitoring to ANY existing Superb Internet Cloud or Dedicated Server. Previous articleDoes your business website have a firewall?